Why Should You Get a Pre Purchase Drain Inspection? Why you ask? Well it’s simple, if you value your hard earned cash, you will want to consider this: Building inspections do not include a pre purchase drain inspection! Everybody who buys a new home has the building inspected, prior to the purchase. But, what they don’t realise is that this does not include a pre purchase drain inspection. So..consider this.. a large majority of the drainage system runs under the home and within the slab. Hidden away, it is easy to forget about the drainage. 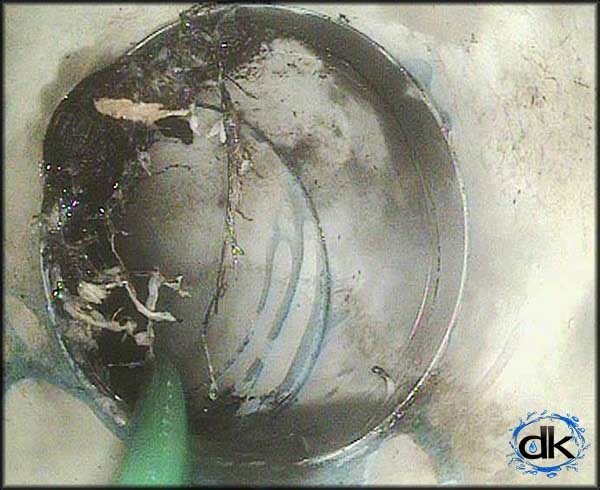 CCTV drain inspection cameras are the only way to view your drains properly. You’ll be content, knowing you are not about to ‘Buy someone elses’ problem’. What could possibly go wrong? 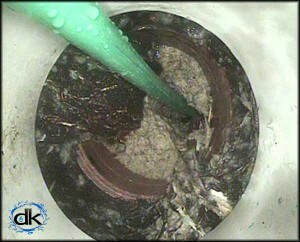 Well.. the drains may be full of cracks which let in tree roots and dirt causing your drain to block. Constant leaking drains could be under-mining the slab then subsidence (ground movement) can cause structural damage. Breaks in the drain may have been there since construction, or something else, like subsidence, may be to blame. Slowly.. over time the damage will become worse, but, the thing is, you usually can’t see this from above. Hidden away under the foundations of every home is a maze of drains. Some with un-diagnosed drainage problems, waiting for the least convenient time to be discovered. When drains are compromised a ‘new home’ could wind up costing you more than you bargained for, soon becoming a ‘new nightmare’. If only you had organised that pre-purchase drain inspection, you could have saved yourself much heartache and anguish not to mention the dollars $$. Pre purchase drain inspections will prevent finding this after you have bought your new home. 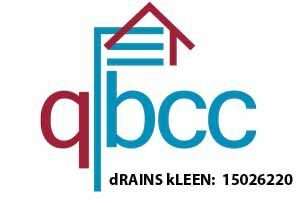 Buying a New Home: Don’t forget the Pre purchase Drain Inspection!! We have seen it first hand. On several occasions we have received a call to attend to the drains at a recently purchased home, only to find the drains are cactus or chock-a-block full of tree roots. The new owner left mortified, as they find out the scale of the work involved to rectify the drainage. Only then… it is too late.. negotions are done and it can not be written into the conditions of the sale contract. All the the paperwork is done and they’re trying to settle in, only to find drainage issues and a with the bill for the repairs. Do yourself a favour and consider a pre purchase drain inspection when buying a new home. Whether it be on the Sunshine Coast or Brisbane, call us to carry out the pre purchase drain inspection. Do this before you sign.. you thank us later. After all, it is better to look and found nothing, than not known and spent your money on a bottom-less money pit. For piece of mind, arrange a pre purchase drain inspection today. Call us to arrange your pre purchase drain inspection today. We will carry out a CCTV drain inspection on all of the drains on the property, giving you piece of mind. You can rest assured you are not, buying a home with pre-existing drainage problems. When the the drains are found to be compromised, broken or infiltrated with tree roots, it’s an opportunity to decide if it is a bigger headache than it is worth or you will gain some added bargaining power. We will be provide an inspection report as well as CCTV footage showing the condition of the pipes. Depending on access, we will inspect any drainage you are interested in, so long it’s not invasive.